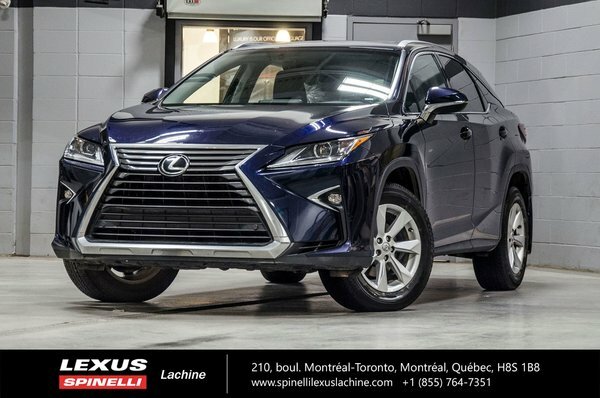 ACCIDENT FREE, 1 OWNER ONLY, REGULAR MAINTENANCE COMPLETED AT DEALERSHIP, LEXUS CERTIFIED VEHICLE, WARRANTY UNTIL FEBRUARY 8TH 2022 OR 110,000 KM. AWD, MOONROOF, BACKUP CAMERA / CROSS TRAFFIC ALERT, BLIND SPOT MONITOR, LEATHER INTERIOR, ELECTRIC / HEATED FRONT SEATS, DRIVER’S MEMORY SEAT, 2ND ROW HEATED SEATS, AUTOMATIC DUAL ZONE CLIMATE CONTROL, PREMIUM LEXUS AUDIO W/ 8’’ DISPLAY / AM / FM / CD / MP3 / 2 USB PORT / INTEGRATED SATELLITE RADIO, LEATHER WRAPPED / HEATED / POWER TILT AND TELESCOPIC STEERING WHEEL W/ AUDIO CONTROL / BLUETOOTH AND CRUISE CONTROL, POWERED TAILGATE, SMARTKEY SYSTEM, PUSH START BUTTON, GARAGE DOOR OPENER, 18’’ LEXUS ALLOY WHEEL, ROOF RAILS, RAIN SENSING WIPERS, LED FOG LIGHTS AND MORE. BASE PACKAGE AWD. 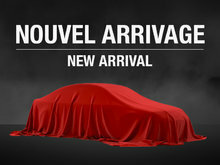 TRADE-IN VEHICLE FROM A REGULAR CUSTOMER OF SPINELLI LEXUS LACHINE GUEST.